Here are many state-of-the-art CFO tools that will take your financial skills to the next level! The Strategic CFO create the following tools for our consulting clients. Eventually, these tools became the standard for how we helped clients. When we launched the SCFO Lab, these tools (and much more) became the central focus. How to use them, when to use them, and why you would need to use them... Now, you can access the individual tools for only $9 each. If you are a SCFO Lab member, please click here to access all the tools. Our most popular tool among our SCFO Lab members and coaching participants. 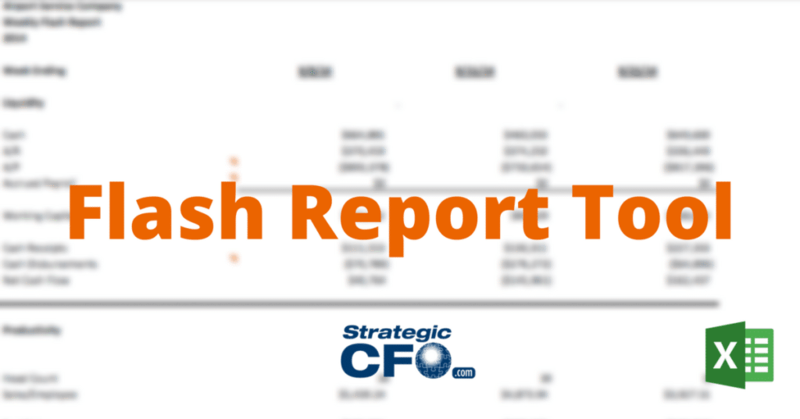 The Strategic CFO™ Flash Report Tool enables you to react quickly, focus on what really matters, and lead your company towards a better financial future. 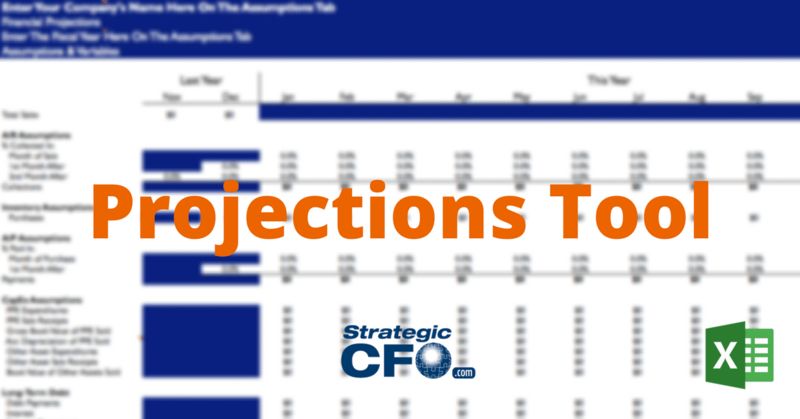 The Strategic CFO™ Projections Tool enables you to use a dynamic cash flow projection to know how to make decisions with accurate numbers. 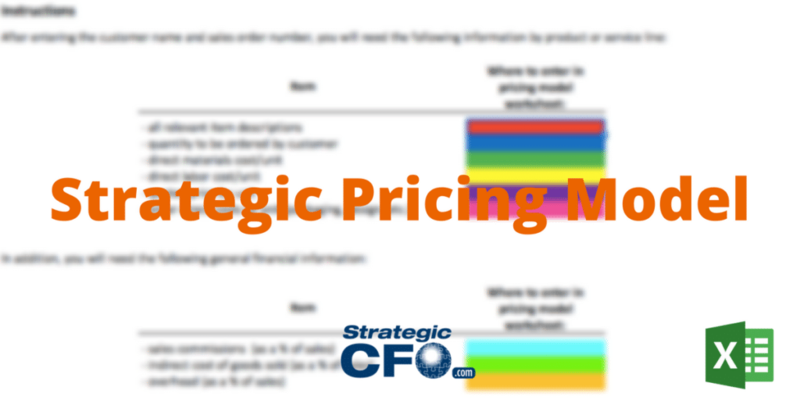 The Strategic CFO™ Strategic Pricing Model enables you to easily determine the profitability of your company's products & services down to the net income level. 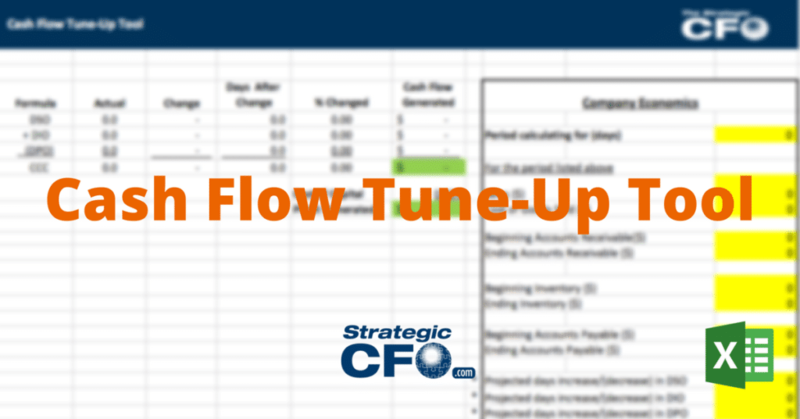 The Strategic CFO™ Cash Flow Tune-Up Tool allows you to analyze the benefits of implementing cash flow improvement strategies in your company. 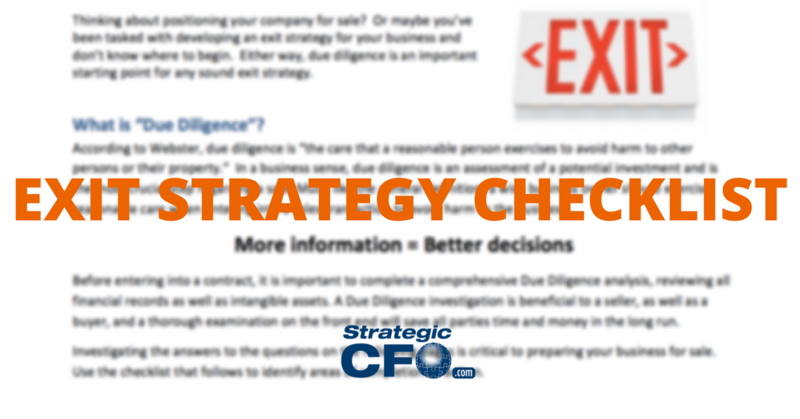 The Strategic CFO™ Exit Strategy Checklist enables you to start asking the right questions so that you can start to create and develop your exit strategy. 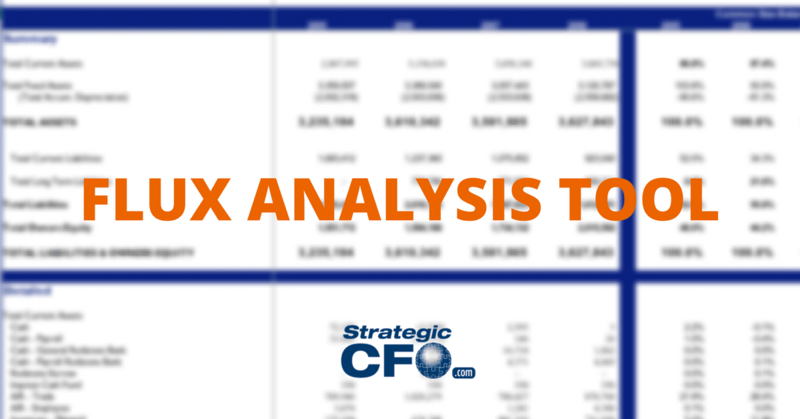 The Strategic CFO™ Flux Analysis Tool enables you to identify areas of improvement using years of financial history in order to improve the profitability of your company. 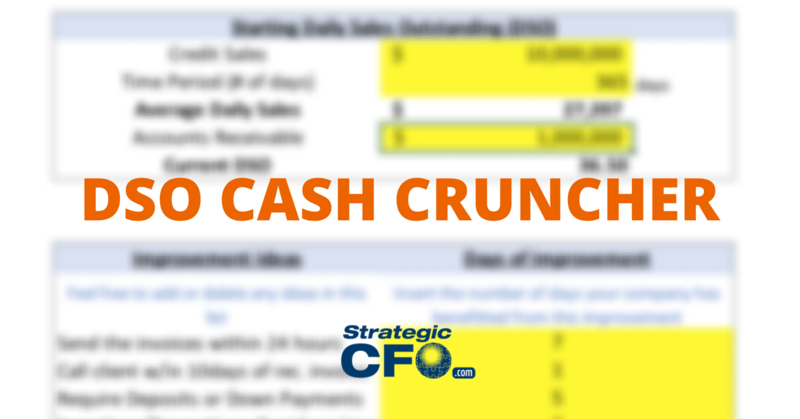 The Strategic CFO™ DSO Cash Cruncher allows you to free up cash, grow quickly, & pay down debt efficiently. 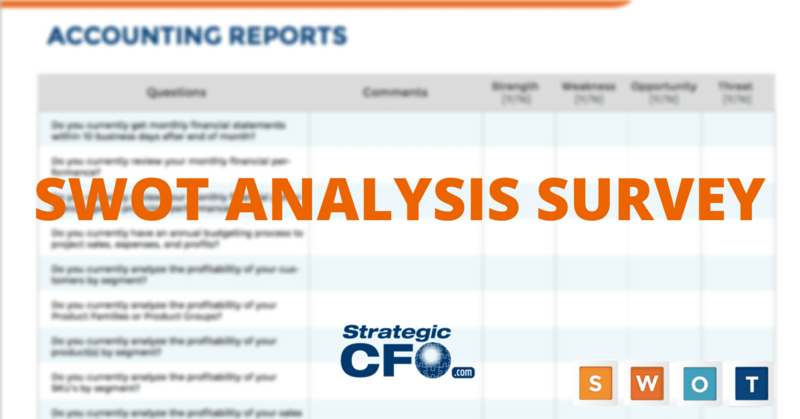 The Strategic CFO™ SWOT Analysis Survey combines the external analysis with the internal environmental factors to complete an expansive SWOT Analysis. 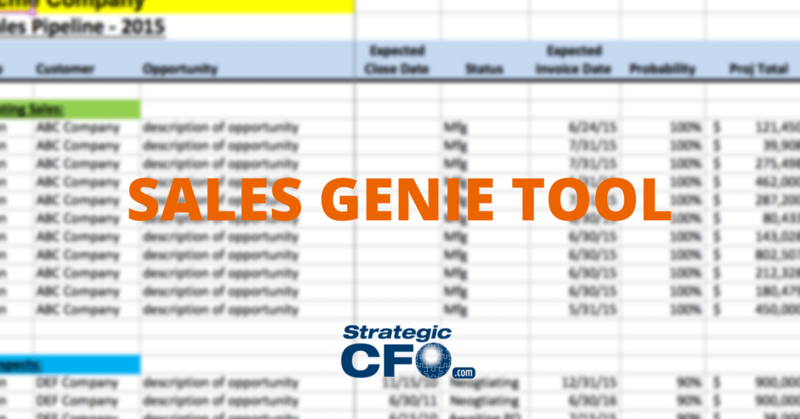 The Strategic CFO™ Sales Genie Tool allows you to prevent overshooting sales projections in your company. Do you want to add real value to your company? 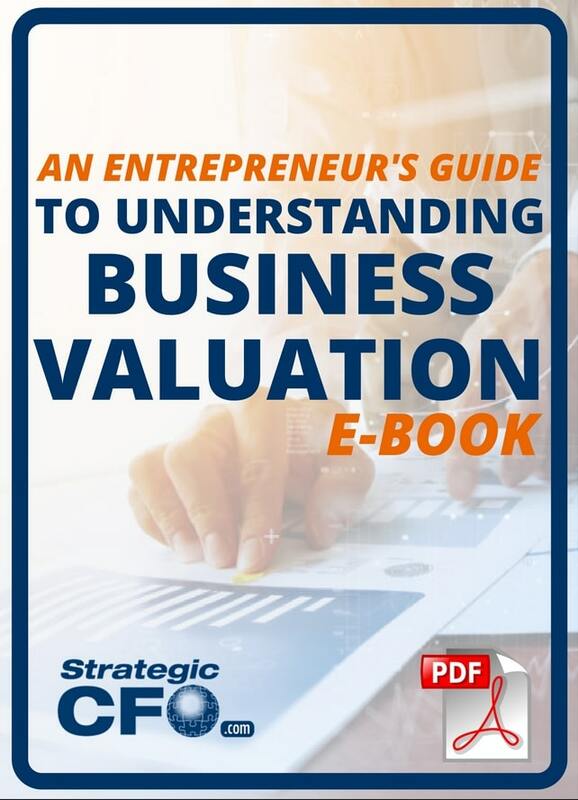 Discover how to maximize business valuation whether or not you intend to sell your company. Understanding how to optimize your business as your create and develop your exit strategy. Click here to learn about how you can access our e-book for only $14.95. Get all the CFO Tools and so much more in the SCFO Lab! Each plan takes you step-by-step through a specific financial tactic to drive profits and cash flow. You can also access recordings of our webinars (available for Lab Members only). First, download our 3 most powerful tools for free to get a sneak peak look into the SCFO Lab! Click the button below to access. Planeamatic is like a magic board... In minutes, you can create a budget (including your Balance Sheets, P&L Statements, and Cash Flows). Sign up for your free 5-day trial to explore, then it's only $89 / month for 6 months.